Why not try your hand at archery, quad biking, clay-pigeon shooting among other sports at nearby Deeside Activity Park or get a birds-eye view of the stunning landscape with a trial lesson at Deeside Gliding Club, a 5 minute drive west at Dinnet. Skiing and snowboarding at Glenshee and The Lecht are easily reached by car, with equipment and clothing available to hire at both centres. Lock Muick on the Balmoral Estate, home of the Royal Family since 1852, is a great place for a day out in the Cairngorms. 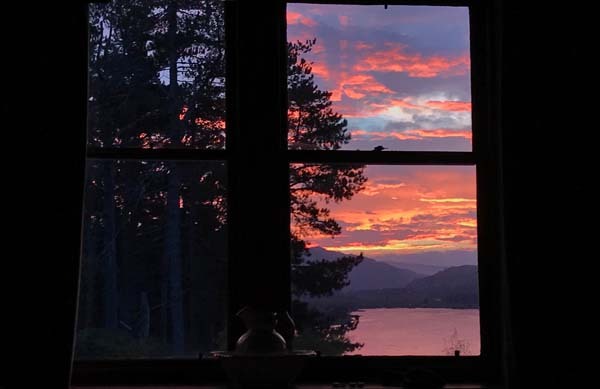 It's a haven for wildlife including red squirrel, grouse and herds of red deer, and you can enjoy scenic walks and picnic at Glas-allt Shiel House, built as a retreat for Queen Victoria after the death of her husband, Prince Albert. To sample some true Scottish culture, including Scottish Country Dancing, Pipe Bands, stalls selling local produce and crafts, the annual Aboyne Highland Games takes place on the first Saturday in August on the village green, and has been a popular attraction for both visitors and locals since 1867. Other world famous games held annually and worth a visit are the Lonach Gathering at Strathdon (18 miles) held on the 4th Saturday in August and the Braemar Highland Gathering (27 miles) on the first Saturday in September and attended by members of the Royal Family. The city of Aberdeen, famous for its beautiful granite buildings, the North East Coast Line with its rugged cliffs, pretty seaside towns and sandy beaches to Speyside, the 'Malt Whisky Capital of the World' are just some of the many places that are easily reached on day trips. From Aberdeen, travel along the A93 North Deeside Road to Aboyne. Modern holiday houses, lodges and log cabins in Aboyne can be rented by the week or for a short break - perfect for exploring Royal Deeside. Nearby are castles, distilleries, great fishing and beautiful countryside.